(MEMPHIS, Tenn.) – During its Annual Meeting in Durham, North Carolina The Cotton Board reviewed and voted to recommend Cotton Incorporated’s proposed 2015 budget of $80 million to the Secretary of Agriculture. Cotton Incorporated was also funded at $80 million last year, and in the face of a declining economic environment and the many challenges facing cotton, The Cotton Board will be drawing from reserve funds to maintain this consistent funding level. While Cotton Incorporated’s proposed budget remained flat, it reflects many of the recommendations developed in March by The Cotton Board. J. Berrye Worsham, President and CEO of Cotton Incorporated, highlighted the company's key initiatives for 2015, saying " We have a renewed focus on improving cotton's environmental footprint throughout the supply chain, increasing our speed-to-market with new projects and programs, developing call-to-action messaging that makes the 'case for cotton' to consumers and industry, and finally maximizing producer profitability through research and innovation." In its Business Session, The Cotton Board elected new officers to guide the Program, including David Grant (pictured above) to serve as Chairman for the 2014/2015 Program year. Grant, a cotton producer from Garysburg, North Carolina commented on his election, saying, "Thank you from the bottom of my heart. I think the challenges we will face over the next couple of years will be as great as any our Program has ever faced. I expect help and input from all of our Board Members to help guide Cotton Incorporated in reversing our decline in market share. 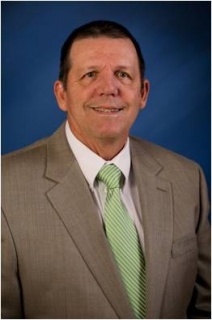 "Grant has a long record of outstanding service to the industry and has served on The Cotton Board for eight years. Before passing the gavel to Grant, outgoing Chairman Gary Ross, an Importer from Yardley, Pennsylvania, said "David's impact on our Program over the past eight years has already been profound. David is blessed with exceptional judgment, a cool but determined temperament and a deep commitment to the cotton industry." George LaCour, Producer from Morganza, Louisiana, Treasurer. An income forecast given by Cotton Board Senior Vice President of Finance and Administration, Lisa Droke, noted a higher crop forecast that improves the overall income projections for the Program, and even though maintaining current funding levels of the Program may require a draw on reserves Droke expects The Cotton Board to be in a healthy financial position moving forward. The budget and plan, along with The Cotton Board’s recommendation of approval, will be forwarded to the United States Department of Agriculture (USDA) for final approval.